Andrea Zanzotto, who was regarded as one of Italy’s greatest 20th century poets, was born on this day in 1921 in Pieve di Soligo, the village near Treviso where he lived almost all of his life. Zanzotto, who spent 40 years as a secondary school teacher, he wrote 15 books of poetry, two prose works, two volumes of critical articles and translations of French philosophers such as Michaux, Leiris and Bataille. 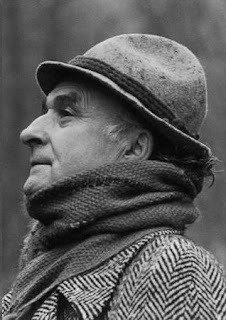 His first book of poetry, Dietro il paesaggio (1951), won a literary award judged by several noteworthy Italian poets. Critics reserved their greatest acclaim for his sixth volume, La beltà (1968), in which he questioned the ability of words to reflect truth. Zanzotto, whose verse was consistently erudite and creative, was known for his innovative engagement with language and his fascination with the rugged landscapes of the Veneto, from which he drew inspiration and provided him with much symbolism. His upbringing was difficult at times because his father, Giovanni Zanzotto, a painter who has trained at the Bologna Academy of Fine Arts, was a committed supporter of the Socialist politician Giacomo Matteotti, who was murdered by Fascist thugs in 1924 a few days after accusing Mussolini’s party of electoral fraud. Fearing for his own safety, Giovanni fled to France in 1925. He returned to the Veneto, taking a job as a teacher in Santo Stefano di Cadore, about 100km (62 miles) north of Pieve di Soligo, not far from the border with Austria, in 1927 and the family reunited there in 1928. Giovanni, in fact, painted some frescoes in a church in nearby Costalissoio but his campaigning against the Fascists and the collapse of a co-operative that was providing financial support for his family, forced him into exile again in 1931. Andrea, who had been deeply affected by the death of his younger sister, Marina, became close to his maternal grandmother and an aunt, and began to develop his love of writing. They helped him to see his first work published in 1936. After completing school, Zanzotto began to focus on a career in teaching but suffered another loss in 1937 when his other sister, Angela, died of typhus. The grief, combined with the fatigue of commuting to college in Treviso, took a toll on his health, yet he obtained his teaching credentials. Zanzotto enrolled at the University of Padua, where he received his diploma in literature in 1942, with a thesis on the work of the Italian Nobel Prize winner Grazia Deledda, after which he began teaching in Valdobbiadene and then Treviso. In the meantime, having avoided conscription because of severe asthma, he participated in the Italian Resistance, working largely on propaganda publications, and after the war spent some time travelling in Switzerland, France and Spain before returning to Pieve di Soligo where he resumed his work as a teacher. Zanzotto’s poetry was influenced by his study of European intellectual thought and became notable for his of divergent language, from the lofty lingua aulica of the great poets of the past, notably Petrarch and Dante, to the language of pop songs and advertising slogans. Dialect was one of Zanzotto’s favourite linguistic registers. Section one of Filò (1976) was written in a pseudo-archaic Venetian dialect. It was composed at the request of Federico Fellini for his film Casanova. Section two, in fact, included a diatribe against the film industry. 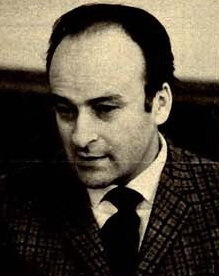 Dialectal words and phrases reoccurred in Il Galateo in bosco (1978), the first book of a trilogy completed by Fosfeni (1983) and Idioma (1986), which are regarded among his finest works. Although a lot of his writing suggested nostalgia for disappearing landscapes, languages and cultures, Zanzotto never lost sight of the present and its possible effects on the future. 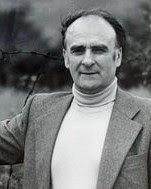 His later works were increasingly engaged with topical issues such as the effects of the Chernobyl nuclear disaster, the war in Bosnia, and local environmental changes. He died in October 2011 at the age of 90, survived by his wife, Marisa, to whom he had been married for 52 years, and their children. Pieve di Soligo is a town of some 12,000 inhabitants a little more than 30km (19 miles) north of Treviso, in a plain bordered to the north by the Belluno Prealps. At the heart of the town is the cathedral dedicated to Santa Maria Assunta, a neo-Romanesque monument built in the early 20th century by the architect Domenico Rupolo, who is well known for having designed the fish market by the Rialto bridge in Venice. 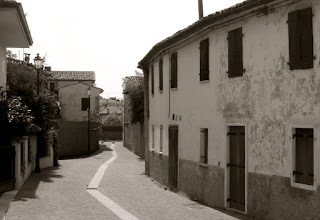 Along the banks of the Soligo river are two of the oldest parts of the town, including Cal Santa, where Zanzotto spent much of his formative years. The picturesque hills around Valdobbiadene, where Zanzotto briefly worked as a supply teacher, are famous for the production of what is generally regarded as the best Prosecco in Italy. 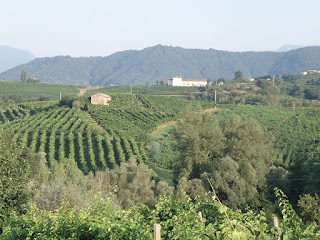 It is largely made from Glera grapes and though the name comes from that of the village of Prosecco near Trieste, where the grape and wine originated, the only Prosecco granted DOCG status - the classification granted to superior Italian wines - is produced from grapes grown on the hills between the towns of Conegliano and Valdobbiadene, or from a smaller area around the town of Asolo, a few kilometres south of Valdobbiadene.